Adventure Weddings: Are They a Just a Trend or Are They Here to Stay? I'm sure you've seen them. The elopements that happen alongside a gorgeous alpine lake as the sun is barely peeking above the horizon. The intimate weddings where the couple is teetering on the edge of a mountain with nothing but sky above them. Most couples have come to recognize these weddings quite a bit these days. And you can be dang sure Pinterest is chock-full of them. As adventure wedding photographers, these types of outdoorsy elopements and intimate weddings are some of our favorite to capture. But are they here to stay, or are they just a trend that will soon fade into oblivion? Honestly, it depends on the real reasoning behind a couple choosing an adventure elopement over an ordinary wedding. Nowadays, people seem to be choosing to elope in epic places simply because those spots make for great photos. Frankly, there couldn't be anything that frustrates us more, and it’s not a great reason to opt for an adventure wedding. Don't get me wrong, we’re all about taking the most gorgeous, epic photos for our couples. It's no doubt a mission and a passion of ours. But that's not the point of an adventure elopement, or really any wedding for that matter. We've said it once, and we'll say it again: your wedding should be a reflection of who you two are as a couple. If you're not the type of people who lace up your hiking boots on summer weekends and spend the day breathing in mountain air, maybe an adventure elopement isn't for you. And that’s completely and totally OK. If getting your wedding dress dirty only sounds appealing because it makes for a cool photo, when in real life it would give you a heart attack, maybe an adventure elopement isn't for you either. There's nothing to be ashamed of. You should plan the kind of wedding that makes your heart pitter patter: an event that is a reflection of your personal style. You're cheating yourself otherwise. Forget the Instagram likes and the notoriety that come with choosing to get married on a cliff face. Sure, it may look pretty and the attention may feel nice, but when you look back at your wedding photos 10, 20, even 50 years from now, will you see your soul in those photos? Will it actually feel like a good representation of your relationship? When we decided to plan our national park elopement, we chose to do so because adventure is something we chase on a regular basis. We chose our specific elopement spot because of the way it spoke to us from the moment we first stumbled upon it. We felt that place in our hearts. More than that, we loved the idea of being able to have a tiny, private ceremony with a very select group of people. Our love has never been showy, and we knew that anything but a small ceremony wouldn't be right for us. Sure, I'd be lying if I said I didn't want to get married in a photogenic place (every time I think about our elopement spot, I do a little happy dance). I mean, who doesn't. But that wasn't WHY we chose this spot. We chose it because it was a reflection of us. Truth be told, I'd choose getting married in a courthouse over eloping in the most picturesque of places if I didn't have an emotional connection to that place. What I'm getting at here is that the adventure wedding "trend" unfortunately will become an overdone thing if we treat it like it doesn't have any meaning. You should feel like you have to get married the "trendy way" simply because it looks good. Personally as photographers, we value aesthetics more than the average person. Trust us, we get the appeal. But the greatest compliment we've gotten from our couples is that we captured their true dynamic. How can we do that if you've chosen to elope in a place that doesn't feel like you at all? We're not by any means saying location isn't important. And we're definitely not saying that your venue shouldn't look nice. But when you pick your perfect spot, make sure it really speaks to who you are as a couple, and not who you want other people to think you are. All of this to say, everyone is trying to one-up the other on social media. There will always be someone starting the next trend. But at the end of the day the thing that never goes out of style is the love between two people. So choose to celebrate that love in a way that feels authentic to you. If that's an adventure elopement, that's amazing. But if it's not, choose to plan a wedding that is true to you. Let's not make these special, intimate elopements into a fad that fades away. Be unapologetically you: on your wedding day and every day thereafter. It’s nobody else’s business how you choose to celebrate your love. P.S. Adventure elopements and small weddings are our specialty. Not only do we pride ourselves on taking killer photos in some of the most adventurous places, but we love helping our couples navigate the crazy waters of planning their adventure elopement or small wedding. From recommending vendors to scouting for the best elopement locations, we’ve got your back. Think we'd be the right photographers for you? Give us a holler. 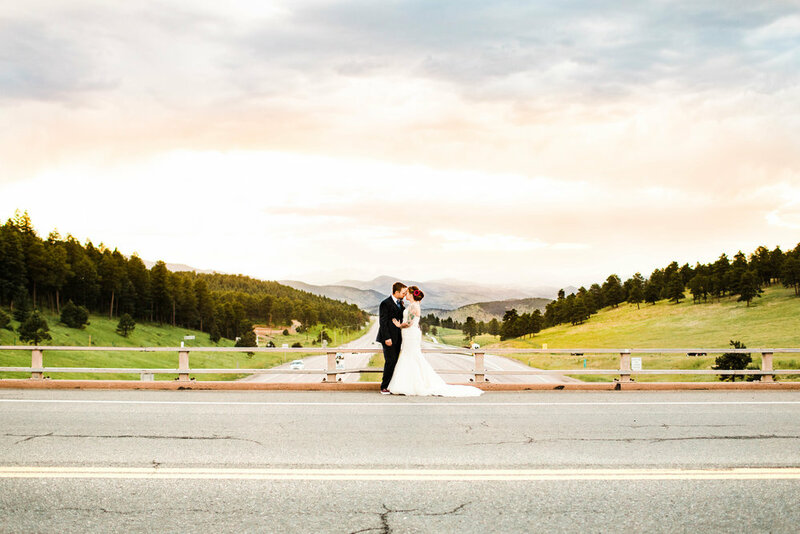 We love traveling, so even if you're not planning to elope here in Colorado, we would still love to be a part of your special day.